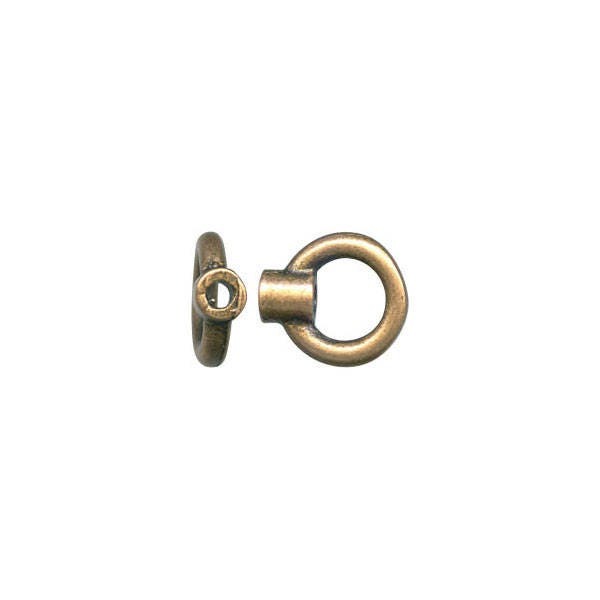 Excellent quality antique brass crimp end with loop, 0.8mm I.D. 5.8x6.6mm for use with beading chain or snake chain. Inner diameter corresponds to the size cord it fits. You will receive 10 pcs per listing. Made in Israel.